Our guide to St Louis will help you find the best breweries in St Louis Missouri. St. Louis is known as the Gateway to the West. This was certainly the case for Lewis and Clark, who stopped here for provisions during their famous expedition. In the years that followed, the city became a manufacturing center for wagons, guns, blankets, saddles, and everything pioneers would need on their journeys west. But St. Louis is indisputably a baseball town, and a fanatic love of the sport -- and specifically the Cardinals -- is a way of life for many here. Fans also support the NFL's Rams and the NHL's Blues, but rooting for the redbirds trumps everything. There are tons of great breweries in the city of St Louis, our city guide will help you find the best breweries. You may have a hard time deciding what to do in St Louis, but we make your decision easy. It almost seems that St. Louis was pre-destined to become a major beer brewing locale. In the 1800s, a lot of things just seemed to fall into place that would help make St. Louis the epicenter of American beers. As large numbers of immigrants from Germany and Bohemia found their way to St. Louis beginning around 1830, a substantial portion of these newly-minted Americans settled in Soulard, the city’s oldest neighborhood. This area was home to a number of breweries over the years, and it eventually became the home of the world’s largest brewer, Anheuser-Busch. 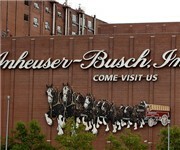 In addition to Eberhard Anheuser's Bavarian Brewery and Adam Lemp's Western Brewery, others like the Arsenal Brewery, Anthony and Kuhn's, Excelsior, Green Tree and English breweries established themselves in St. Louis. 1727 Park Ave, (314) 231-2537 - Only natural ingredients go into the beers at Square One Brewing Company. 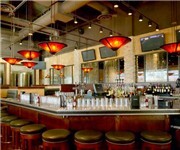 3000 S Jefferson Ave, (314) 881-1500 - Mattingly Brewing Company is a brewpub located in St Louis MO. 3100 Olive St, (314) 534-2337 - Located in the heart of Midtown St. Louis, our restaurant offers contemporary American cuisine with a twist in a charming brew pub atmosphere. There are plenty more breweries in St Louis. See all breweries in St Louis Missouri.